Judging by a recent study on canned tuna you might need to rethink your tuna sandwich. Are you going to carry on eating tuna and go for the cans without bisfenol A – BPA. Unfortunately there are other risks to take into account. When it comes to tuna they come big. Tuna grow fat on all the other fish they eat. And so they are receptacles of mercury and arsenic that the small fish already contained. 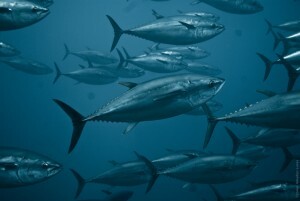 This study gives you the idea that tuna may be safe to eat. But this is not solely a question of risks from the can and we need more information if we want to get to the bottom of this fishy question. The study would have been better if they had included a control test of wild salmon and one of fish-farmed salmon. It isn’t just about the can.